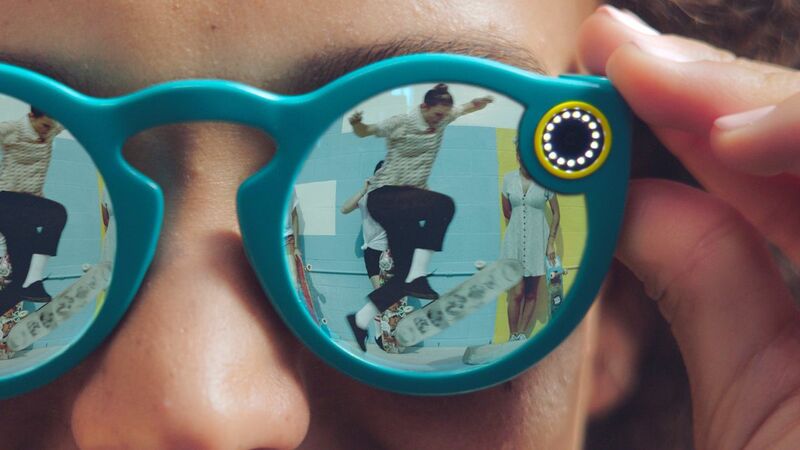 Snapchat launching sunglass with camera which can record 30 second's of video at a time by just tappig a button on the device. The price of Snapchat Sunglass is @ $130 according to indian price RS.8672.79 INR. As a part of annoncement snapchat itself taken a snap with sungalss. Snapchat purchased a company for developing this types of sunglass technology for 1.5 millions. Snapchat CEO Evan Spiegel tested the first prototype. This glass have 115-Degree camera lens in it.